No matter what stage of blogging you’re in, there’s an ad network for you. But Wait, what are ad networks?? Basically, back in the day, before there were ad networks, bloggers had to contact companies directly to coordinate ads on their blog (or vice versa). The blogger would propose a rate to the company (say, $20 per month for one ad placement), and the company would either agree or disagree to pay the blogger that amount for an ad displayed on the blog. Or, in the reverse scenario, a company would approach a high-traffic website and request ad placement on their site for a set advertising fee. As you can imagine… this was a TON of work for both bloggers and advertisers, and was not always worth the time & energy. Ad networks basically act as the middle man between publishers (bloggers) and advertisers (companies). They connect bloggers with companies who would like to display low-cost ads on their website, manage the placement & display of the ads, and coordinate payment. This ended up being a huge win for both sides. Now bloggers could focus on what really mattered to them (creating & promoting great content), and still make money on their site. Advertisers could pay lower rates for ad placement, since the ad network would coordinate the display of their ads on a wide variety of websites. In this day and age, if you display ads on your site, you are probably part of an ad network. How do you enroll in ad networks? Just visit the ad network’s website and apply as a publisher. 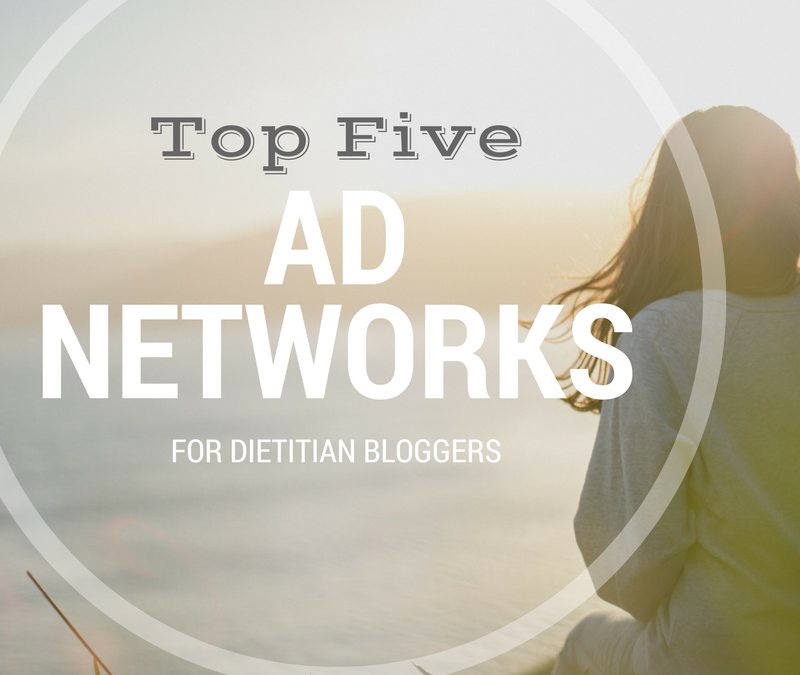 Which ad network you apply for depends mostly on how much traffic you have to your blog. You are currently in the “baby blogger” phase. Your focus right now should be on generating high quality content & promoting the sh*t out of it. BUT, just because you don’t have a ton of traffic doesn’t mean you can’t start monetizing your site. Google Adsense is probably the network for you. No pageview requirements – This means you can display ads even when your blog is relatively new. You’ll need at least a few high-quality pieces of content on your site in order to get approved, but then you’re good to go! Easy to set up – Simply copy-paste the Google Adsense code into a text widget in your sidebar, or install a plugin to insert ads within the text of your articles. Smaller income – Google Adsense offers relatively low CPM (cost per thousand). CPM = roughly how much money you’ll get paid per 1,000 pageviews. For example, I make around $2.50 per 1,000 pageviews from Adsense on my blog, www.ericajulson.com. So, in a month where I get 10,000 pageviews, I’ll earn around $25 through Google Adsense. Lower quality ads – Some of the Google ads can be ugly. Like… weird text ads or click bait “10 foods to NEVER eat” type of content… This doesn’t bother me that much, since I think it’s pretty clear that these are advertisements displayed through ad networks, and not content I’m personally placing on my site, but depending on your brand, this could be important to you. Hooray! You are officially picking up steam. Having this level of pageviews means people are liking what you’re putting down, so keep at it! Once you reach 10,000 pageviews per month, you can start to apply to ad networks that are a bit more selective. The two most popular are Gourmet Ads (for those who run food blogs), or Monumetric (for any blog topic). Both of these ad networks require at least 10,000 monthly pageviews to apply (although they may take you when you’re slightly shy of that, ~ 7-8k). 100% fill-rate – This means there will never be a blank ad space on your blog. Gourmet Ads will always fill the space, even if it’s with a very cheap ad. This can be nice, because then you don’t have to build a “waterfall” for your ad space (where you have a default ad network, like Adsense, set up to fill an ad space if your preferred network isn’t displaying anything). Less work for you! Tech support – If you feel like setting up ads is way too confusing for you, you can create a temporary login to your site & a Gourmet Ads rep will set everything up for you. Sweet! Similar CPM as Google Adsense – Honestly, I make the same amount per month from Adsense as I do from Gourmet Ads. But, Gourmet Ads has support available, so if I ever have questions or need help setting up ads, they can assist me (or even do it for me!). I chose to have BOTH Gourmet Ads & Google Adsense running on my site, and make about 50% of my monthly ad income from each. Can slow down your site – Many Gourmet Ads users have noted that installing the ad scripts on their websites slowed down their performance/loading speed. This can be bad for your SEO rankings, so it’s something to consider! Low quality ads – Several bloggers have had issues with Gourmet Ads forcing readers off the site or generating weird spammy pop-ups. Typically, ad networks are constantly working to prevent this, but it seems like it may be more of an issue with Gourmet Ads than with some of the other ad networks that require higher pageviews. Not niche specific – Unlike with Gourmet Ads, bloggers on any topic can apply to Monumetric. This is a win for dietitians who blog on lifestyle or health related topics. Tech support – Like Gourmet Ads, Monumetric will help you place the ads on your site AND optimize them so they earn the most money possible. Costs $99 to set up – This fee applies unless you have more than 80,000 pageviews per month (but if that’s where you are… there are probably better ad networks out there… see below). True, you’ll probably recoup your expenses in a few months, but still, it’s annoying to PAY for ads on your site. Still not fabulous CPMs – Monumetric’s pay rate is probably a little better than Adsense, but still not as great as AdThrive or Mediavine. It’s a good middle ground for those who don’t run a food blog, but still not the best. Quality complaints – As with Gourmet Ads, many blogger complain of spammy redirects and ads that slow down their site. It seems to be a common problem with this teir of ad networks! Yes! You’ve graduated to the major leagues! Now you can actually start to make some real money on your site. At this point, you are eligible for Mediavine, a higher tier network that serves up better quality ads & doesn’t slow down your site. Notice that I said sessions here, not pageviews. This means that you actually have to have 25,000 visits to your website each month, not just 25,000 pageviews. Sessions are more difficult to get, obviously, because one person visting your site = 1 session, regardless of whether they stay on your site for 2 seconds, or click around to many pages. In contrast, when you’re measuring pageviews, if that 1 person visits two recipes and checks out your About page, you’ve already gotten 3 pageviews from that 1 session. So, it can take a lot longer to build up to 25,000 sessions. For reference, I usually get about 30% more pageviews than sessions, so 25,000 sessions would equate to roughly 32,500 pageviews per month. I think that eventually, all ad networks will measure sessions rather than pageviews, since many publishers do sneaky things to artificially inflate their pageviews, like splitting their content into multiple pages. Better quality ads – As you graduate into higher quality ad networks, the type of ads displayed on your site will improve. No more spammy looking ads. You’ll get high quality ads from reputable companies. Higher payment – This is one of the main perks of Mediavine. Their payment rates seem to be pretty equivalent to AdThrive’s (the most exclusive ad network), but require significantly less traffic. Other bloggers have regularly reported tripling their ad revenue once graduating to Mediavine. Great support – Having trouble with your ads on a Saturday night? Someone from Mediavine will be there to help you. They have amazing tech support, and bloggers who are with them report excellent customer service & love the overall attitude of the company. 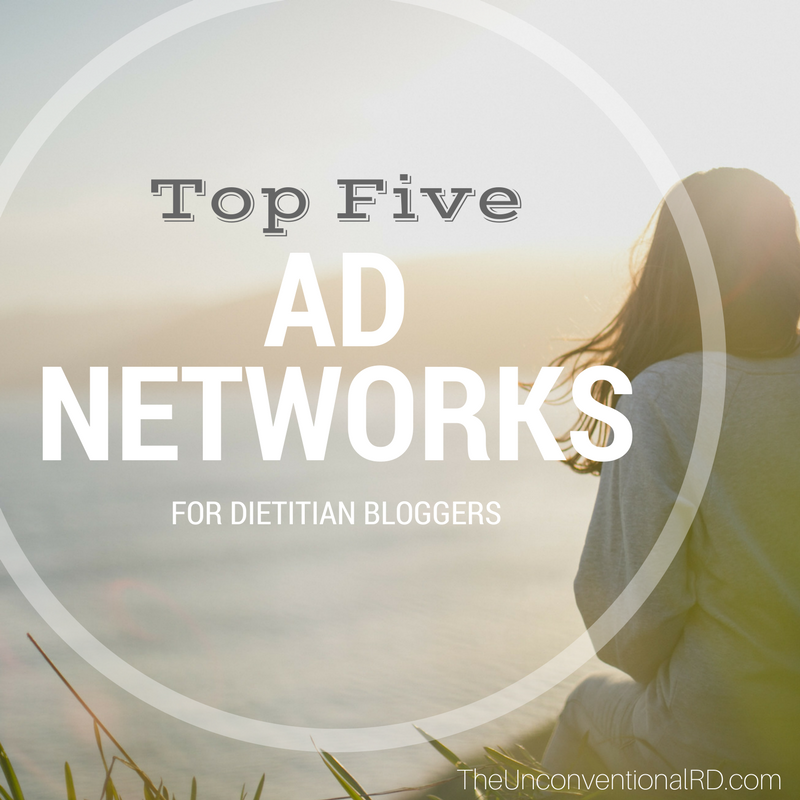 Ability to block certain ads – If you’re a dietitian, you might be concerned about certain types of ads on your site, like those for diet products or processed foods. Luckily, Mediavine is able to block certain categories of ads from your site so they will not conflict with your brand messaging. Excellent dashboard – I’m not signed up w. Mediavine (yet), but I’ve heard that they have a wonderful dashboard that allows you to see which ads are performing best, and continually optimize your display. It’s supposedly even better than AdThrive’s! Stricter session requirements – Really, the only negative here is that you have to be relatively successful before you can display their ads! First, pat yourself on the back because this is a HUGE accomplishment!!! And now you are able to apply for the most exclusive ad network, AdThrive. All of the same perks as Mediavine – In terms of quality of ads & service, AdThrive is cream of the crop, along with Mediavine. They are one of the largest ad networks out there, so if you’re eligible to apply, you should try it out and see what kind of income you can make. The most selective – Out of the 5 ad networks mentioned in this article, AdThrive is the toughest to get accepted into. But if you can get there, you can make some great money! For example, Pinch of Yum regularly makes over $12 per 1,000 pageviews through AdThrive… which is amazing!! They get over 4 MILLION pageviews per month, and are making over $50,000 per month through AdThrive alone. Thanks Erica! Such a great resource. I recently made it out of the baby blogging stage and just set up GourmetAds thanks to your help! Getting to the status of Pinch of Yum .. #goals! Yay! We are in the same boat 🙂 Can’t wait to grow together! I’ve just been debating switching from monumetric to Mediavine, and this definitely makes me feel better about my decision. Thanks! Great read and I’m at around 11,000 page views per month. I’m not a food blogger, so my only option would be Monumetric. I just hate paying $99 to get ads on my blog. It just would be nice to have some passive income coming in on a monthly basis. Right now I make some money from affiliates and my ebooks. I would just like it to be more consistent. I’m just scared of the spammy ads. Also, I read that you have to have 6 ads if you’re on the Propel plan. Still debating, but thanks for this info.